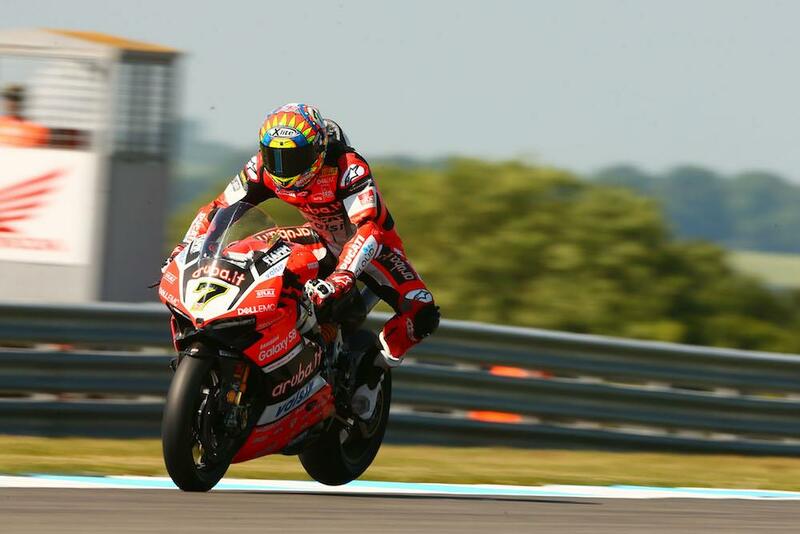 Chaz Davies has said he’s finding the Ducati Panigale R ‘a bit of a handful’ around Donington Park after finishing fifth quickest on the opening day of practice for the sixth round of the 2017 Superbike World Championship. While the Ducati man is feeling good in the final sector of the circuit, the faster, more flowing corners are proving more difficult as he struggles with stability issues, especially down the Craner Curves and old hairpin section. “We just need to tidy up everywhere,” he said. “I feel I can get the feeling out of the bike at certain places on the track but at other places I feel like the bike is moving a bit too much and that results in me backing off a little bit and with that you lose all momentum. I feel like it’s a bit of a handful round here, just to try and be consistent, that’s the biggest problem.